The National Green Tribunal today sought response from the central government and the German automobile firm Volkswagen on a plea seeking a ban on manufacture and sale of its vehicles in the country for allegedly flouting emission norms. A bench headed by NGT Chairperson Justice Swatanter Kumar issued notice to the Ministry of Heavy Industries & Public Enterprises, Ministry of Environment, Forest and Climate Change, Central Pollution Control Board and Volkswagen group, asking them to reply by December 23. The directions came while hearing a plea by Saloni Ailawadi, a Delhi based school teacher, who had sought directions to disallow "manufacturing, assembly and sale" of vehicles manufactured by Volkswagen and its group companies until it is established that they are as per the prescribed norms in India. Ailawadi had referred to Automotive Research Association of India (ARAI)'s recent report and alleged that Volkswagen and its group companies in India were "polluting the environment in blatant disregard to regulations" by selling vehicles which produce nitrogen oxide nine times higher than prescribed limit. Ailawadi had stated that she was "deeply" concerned on account of Volkswagen's "admitted calculated and deliberate deceit of environmental norms thereby endangering lives of Indian and global citizens." 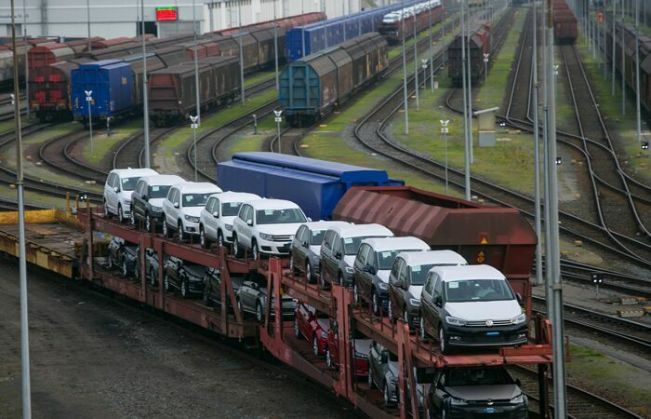 "Direct thorough inspection of vehicles being imported and sold by Volkswagen in India after their import and to disallow any further sale of such vehicles until and unless it is established that the same are not in contravene of statutory and prescribed norms as applicable in India," it had said. Earlier, the government had issued notice to Volkswagen after ARAI found "significant variations" in on-road emission levels in the diesel models of Jetta, Octavia, Audi A4 and Audi A6 in India. Volkswagen has admitted that 11 million diesel engine cars worldwide were fitted with the software that helped in manipulating emission tests.